DSA 8405, 4-Channel Power Amp from Dynacord in the DSA series. 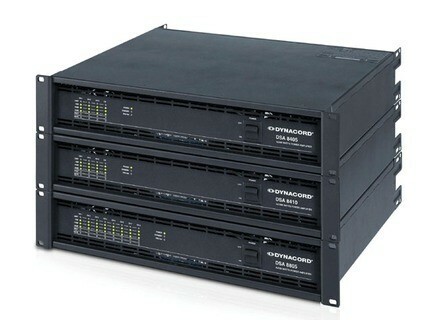 Dynacord has introduced amplifiers with the three models of its new DSA Multi Channel series. 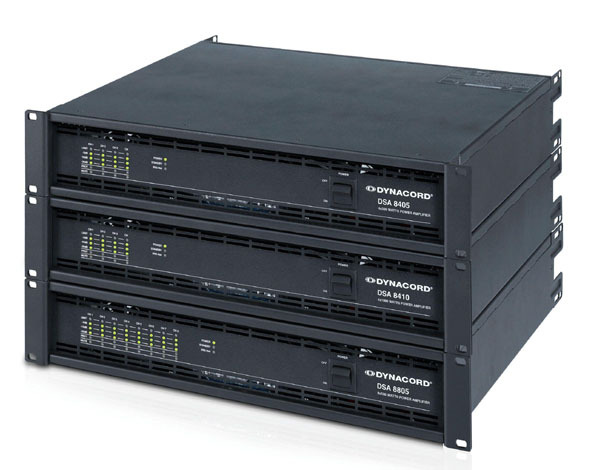 Each channel can be individually configured to deliver a maximum power of 500 watts or 1,000 watts into any load from two to 10 ohms, or drive 70 or 100 Vrms loudspeaker lines directly without an output transformer, according to Dynacord. When connected to an optional RCM-810 module, users can configure the new power amplifiers with the help of IRIS-Net to deliver maximum output per channel in a range from 100 watts to 500/1,000 watts in one-watt increments into any load from two to 10 ohms (adjustable in 0.1 ohm increments). An RCM-810 module allows supervision and remote control of the DSA series via IRIS-Net. For more information, visit www.dynacord.com/wDynacord/en/index.php. Palmer Reamping Box Palmer has announced they'll release a new reamping box by the end of the week. Meyer Sound MM-10 Meyer has introduced its new MM-10 miniature subwoofer to celebrate its 30th anniversary. WorxAudio X115-P WorxAudio Technologies has introduced the TrueLine Series X115-P bass extension system.